In a surprise conference committee meeting late Wednesday night, Wisconsin state senators passed a bill (18-1) drastically cutting the collective bargaining rights of public employees. The original bill was stalled when Democratic senators left the state in protest, Republicans found a loop-hole and held last-minute closed-door vote to pass the bill. Protesters flooded the State Capitol in even greater numbers to demand a recall of those responsible. Think Progress reports, however, that the vote may be declared void since the vote was taken both in secret and without proper advanced notice. Democratic senators plan to return to the state to try to overthrow the bill and stand with those affected. Fox News has begun the name calling by accusing those boycotting companies that stand with Gov. Scott Walker of "union thuggery." The numbers are in. In the EPA study released on Tuesday, an estimated 160,000 cases of premature death have been prevented in 2010 by the Clean Air Act. These are huge numbers for just one year -- especially when we reflect on the opposition the Clean Air Act faces from many conservative members of Congress. The report also examines the Clean Air Act of 1990's effects on the economy - and determines that nearly $2 trillion in economic benefits will be achieved by 2020. Google long-since dove head first into clean energy technology -- but now they're pumping up the volume. The New York Times reports that Google Inc. is seeking government support for jump starting green-tech transformation and actively recruiting lobbyists to garner political energy. The move isn't surprising after Google created the subsidiary Google Energy last year - which gained approval to sell electricity on wholesale markets. This could be big news for the future of clean energy! Great news for CCAN: The Chesapeake Climate Action Network's fund for solar construction has passed in the Virginia House and Senate. The new law would help Virginians install solar panels with low-interest loan funds from utility customers. The contributing to the fund supporting the low-interest loan is entirely optional for utility customers but CCAN estimates that if even 1% chooses to donate $5 a month $1.8 million will be generated annually. The cost of oil has jumped over the last couple of weeks as disruption in Libyan export continues. But no one needs to open a newspaper to know that. It's visible at the pumps. The price for a gallon of gas has climbed over $4 in many cities across the U.S. With the need for energy innovation and clean alternatives more apparent than ever, the House GOP has connected blocking climate change rules with combating rising oil costs. Speaker John Boehner (R-OH) has even jumped on this reasoning but as The Hill reports, the math many Republicans are using for this logic is simply misused. Their claims about the degree to which prices will rise are rooted in an industry-commissioned study of cap-and-trade legislation that died in the last Congress - not an analysis of rules that EPA is moving ahead with under its existing powers." Meanwhile the Energy Department is defending Secretary of Energy Steven Chu's 200 remarks about figuring out "how to boost the price of gasoline to the levels in Europe" to wean American consumers off of oil. Chu insists higher gas prices are harmful for families but GOP has taken the remarks as evidence of an Obama administration scheme for higher pump prices. Under the mounting pressure President Obama has considered tapping into the oil reserve. Energy and Commerce Committee Chairman Fred Upton (R-MI) introduced his Dirty Air bill last week alongside an identical Senate complement by Senator James Inhofe (R-OK). Their bill is designed to halt EPA's Clean Air Act programs for big polluters, blocking regulations that are cutting climate pollution and protecting public health. You can read an excellent run down of the bill by our Policy Coordinator, Jason Kowalski. 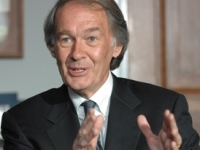 In an effort to complete his greatest hits, Upton's plan to hold a vote on overturning science-based determination for political decisions this week. Scientists warn of "Peak Coffee"
You thought opening your wallet for a Starbucks Trenta would leave you penniless? Paying for a regular 8 oz cup might just break the bank. With rising temperature,s Columbia coffee beans have suffered massive damages over the last few years. In combination with unpredictable rain -- the climate chaos has ravaged crops and raised prices. The result? The New York Times reports we might soon hit "peak coffee."